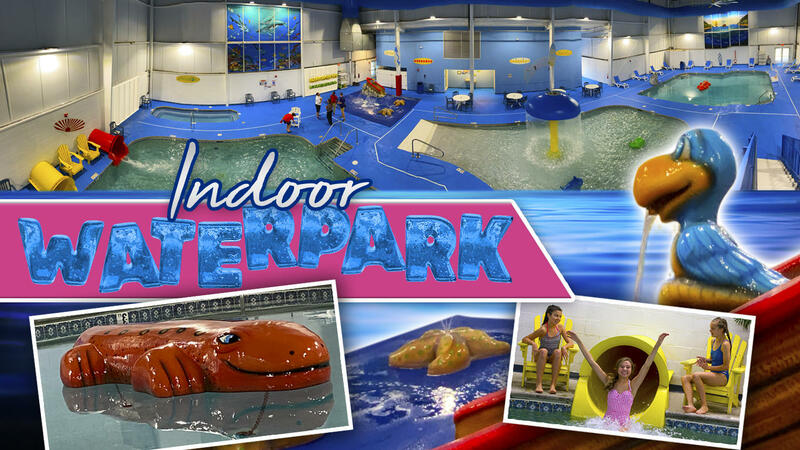 Our indoor waterpark is open from 9am until 11pm. Lots of fun for the small children visiting The Resort. 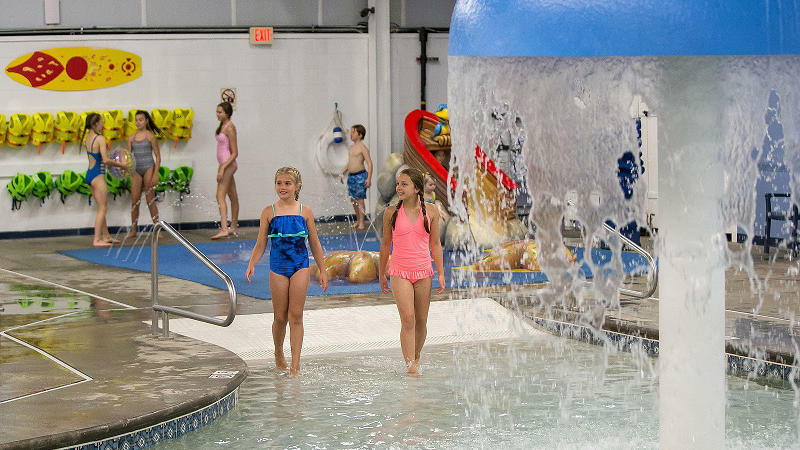 With a fun slide and constant water jets, small ones will have a great time whether it's their first experience with a waterpark or their 5th! No trip to the indoor waterpark is complete without a trip down both the Yellow and Red high speed slides. The Height Requirement for the slides is 36" Minimum! The Zero-entry swimming pool gradually slopes from the deck into the water, becoming deeper with each step, in the manner of a natural beach making it easy to enjoy the Water Umbrella and water toys in this kiddie pool. Relax or Warm up with the indoor 20 Person Hot Tub. 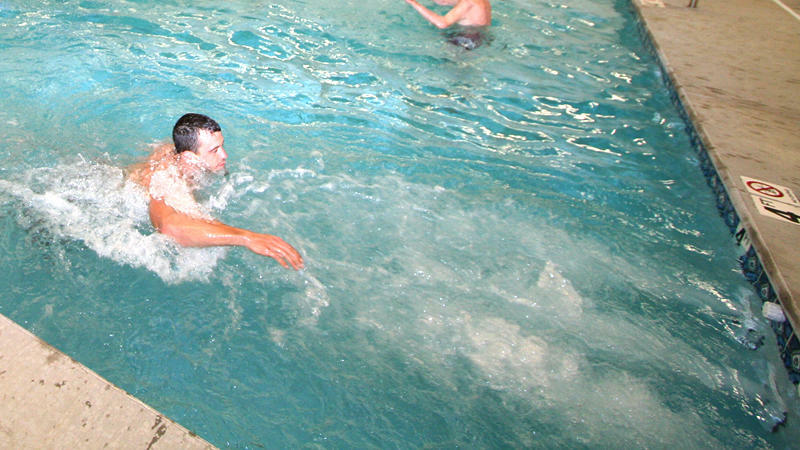 The Main Pool features Badu Swim Jets allowing guests the joy of an endless indoor pool. It can be used to transform the area of the pool to an aquatic workout center or for more family entertainment. 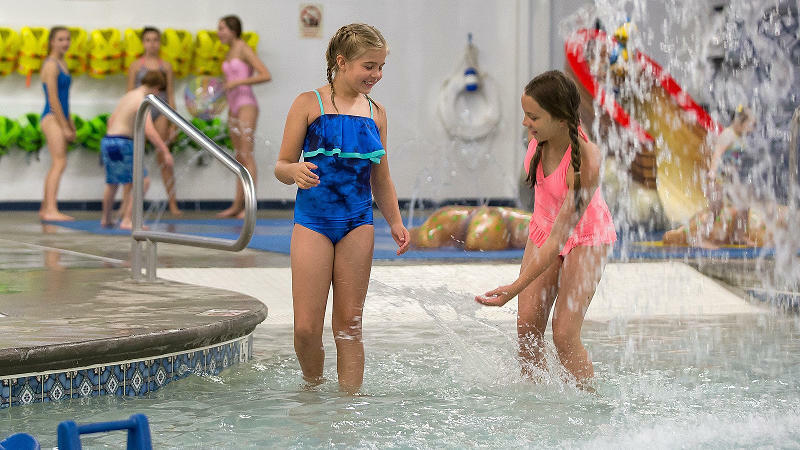 The indoor waterpark's zero entry kiddie pool features a water umbrella that constantly showers fun times over our guests. Guests can enjoy relaxing in our Finlandia Sauana with its special heater shipped from Harvia Oy in Finland. 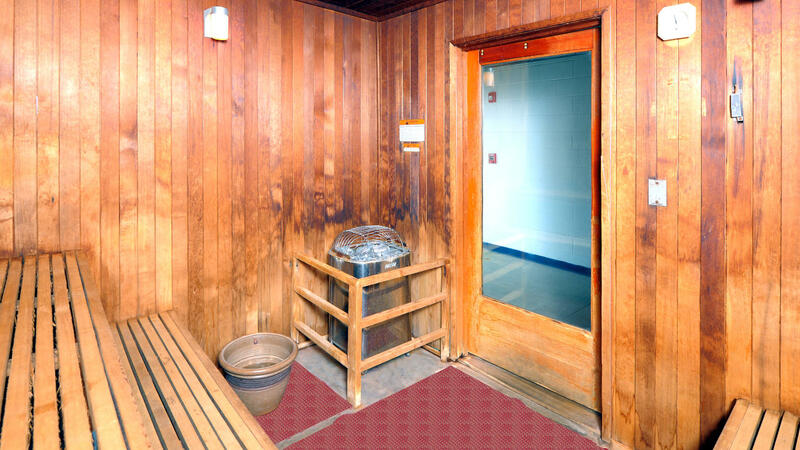 Their heaters are unequaled in quality and in providing the right sauna climate for the bather. 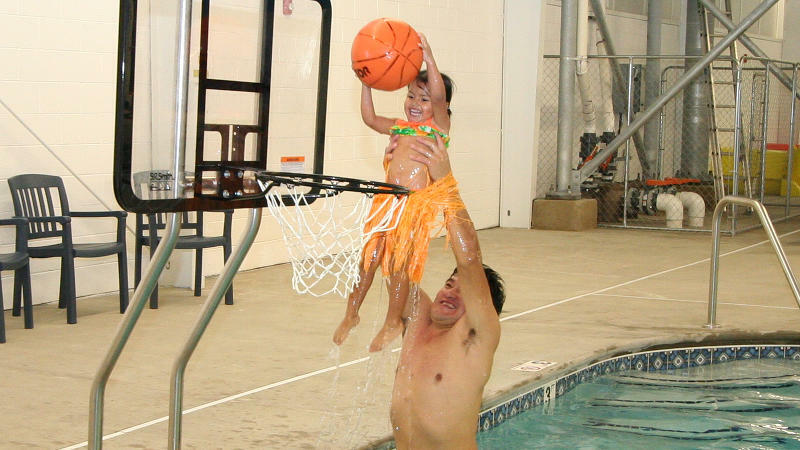 In the main pool guests will find an indoor water basketball hoop. 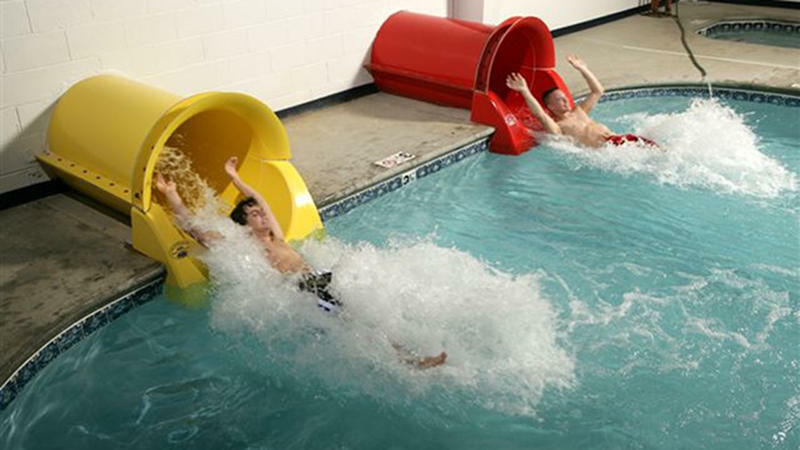 This provides friendly competition with family and friends while enjoying the indoor pool.